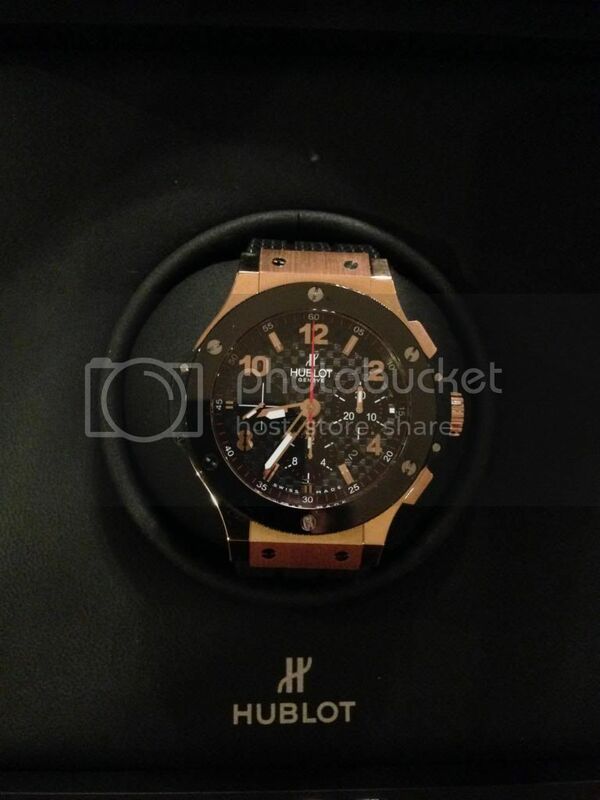 TimeZone : Hublot » Our first Hublots! My wife and I decided for Christmas the perfect gift would be new watches and we both bought Hublots. 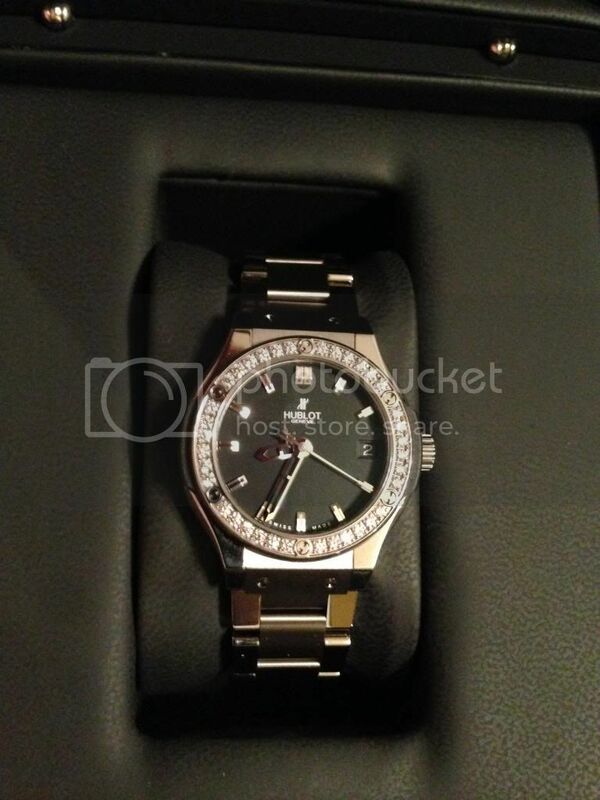 Her watch is a ladies titanium with bracelet and diamond bezel. I got the rose gold Big Bang. When we went to authenticate them online, mine went through without issue. Hers came back with an error and asked me to fill out a form which I did. I have not heard anything back. I am assuming they are on holiday due to the time of year. Has anybody else had an authentication issue? The numbers on the back of her watch match the numbers on the card. Here is a picture of her watch. I will post a picture of mine in the next message.